I have suffered from dandruff ever since I can remember. Till a few years back, my scalp was relatively oily and I had the sticky kindof dandruff and for the last few years my scalp and hair have turned very dry and the dandruff also had become very flaky kinds. Today I can say I am rid of dandruff to an extent. Since one month I can see almost negligible dandruff in my scalp and I have never been happier. 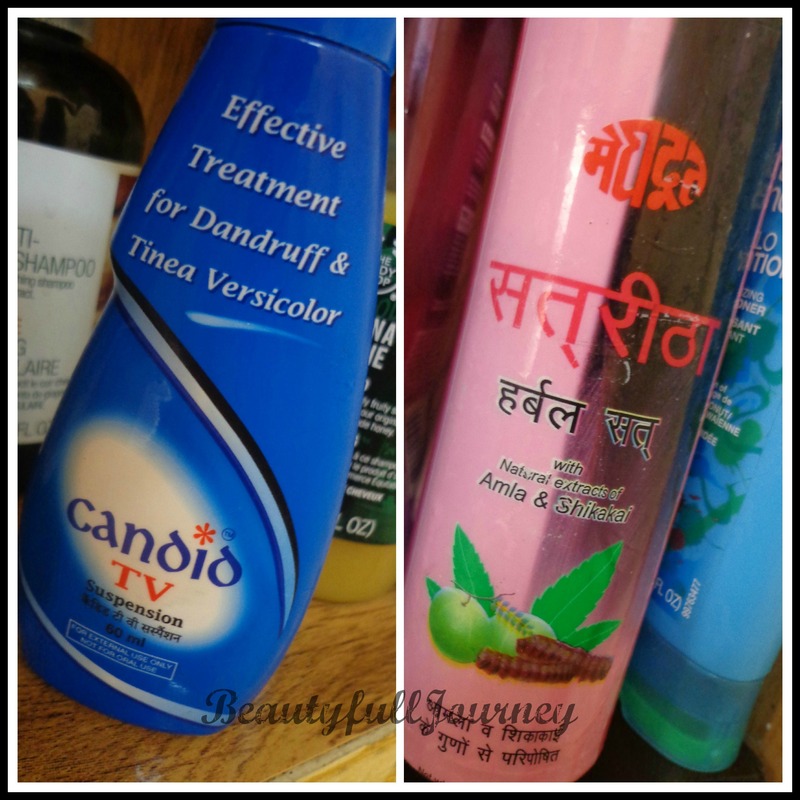 I do not claim to be an expert on curing dandruff (had I been an expert, I wouldn’t have struggled with it for so long), but here I am just sharing with you all my experience with various products I have used and a few tips from my experience. My mother has always been the type of person who made me and my sister steer clear of high chemical stuff like Dove, Pantene, Head & Shoulders etc. I used to use Clinic Plus all my life and had the same type of hair – wavy, a little thick, with dandruff. I tried a few anti-dandruff shampoos in the middle which did nothing for the dandruff but changed my hair from oily to dry slowly. Then a doctor prescribed this – Candid TV Suspension – It’s basically a medicine. It is very strong and although it clears the scalp from dandruff but I did not find it effective in the long run. My dandruff kept coming back and my hair were turning dry as hay. I used this herbal shampoo too, which again had only short term results. 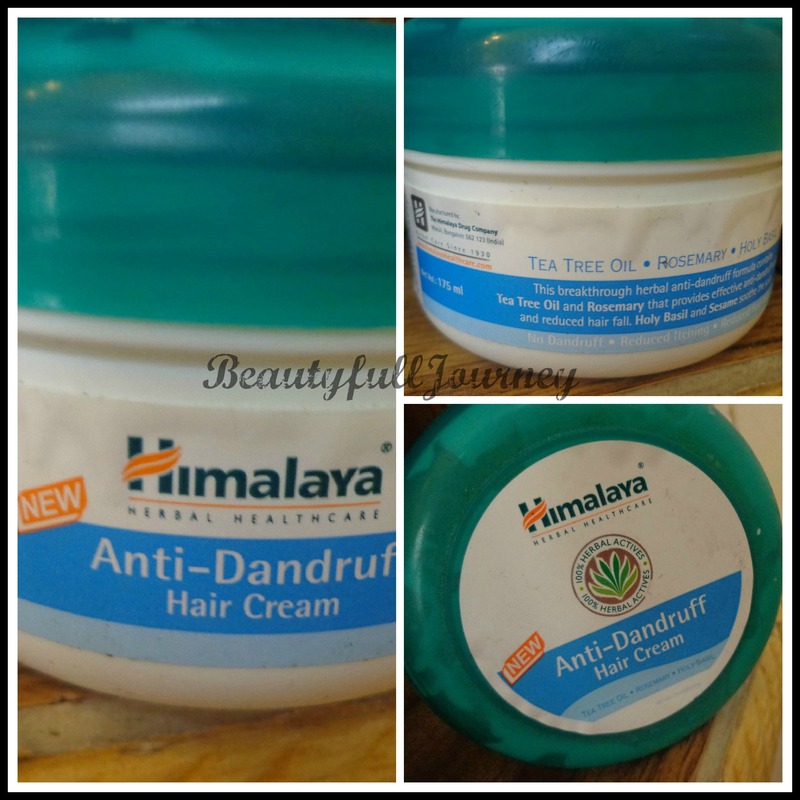 Next, I used Himalaya anti-dandruff hair cream. It made my hair soft and kept the dandruff away only till the time I used the cream. Once I stop, the dandruff is back. At this point I was fed up of experimenting and it was one of the hardest times as I was also on some hormonal medication and my hair were going through the worst phase ever. And this was resulting in me getting super depressed. At that time, my scalp was so bad that there were actually patches with redness with extreme itching. It was really bad. I stopped using all anti-dandruff products completely. This was also the time when I became familiar with the blogging world and read a lot about SLS and all. I now started intense oiling (with Vitamin E capsules) for the dryness in my hair. Before this all my life I had only used coconut oil for my hair. 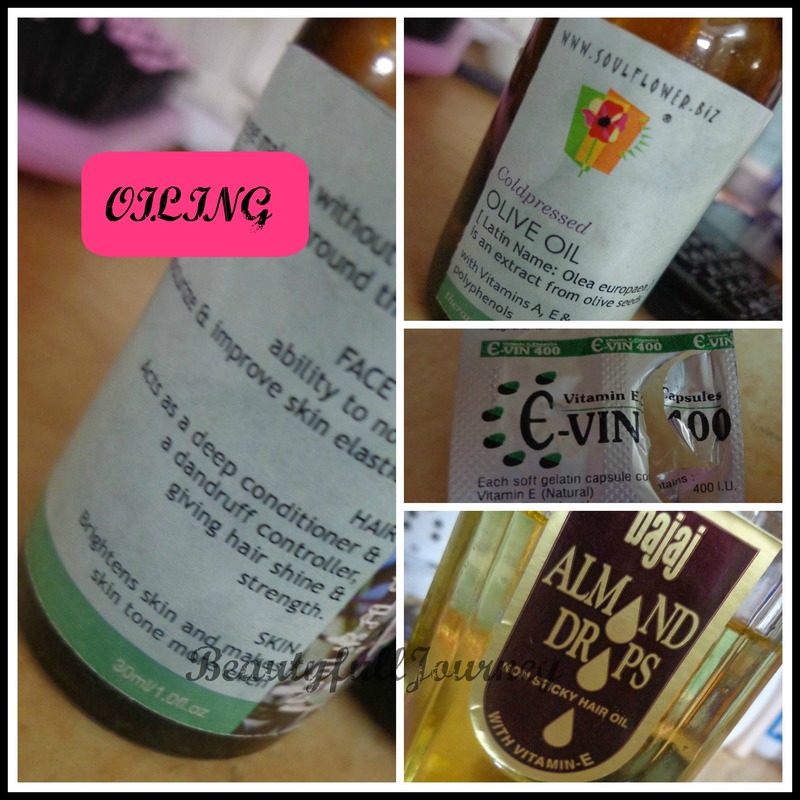 I started using olive oil and almond oil which helped in giving my hair the required moisture. At this time I had just started using Himalaya protein shampoo as it claimed to be SLS free. 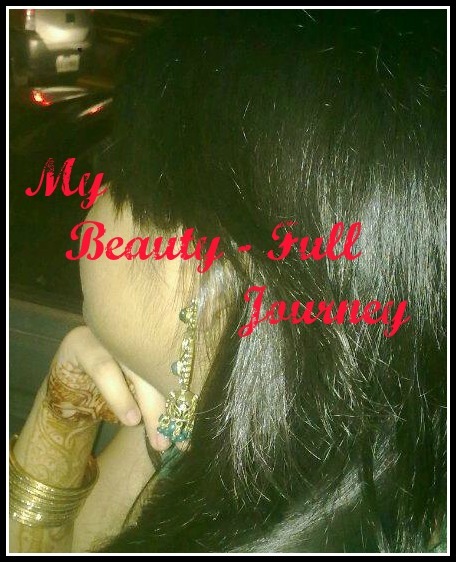 It was giving moisture to my hair and was not affecting the dandruff in any way – positive or negative so I continued using it for quite some time. Then came L’occitane Shea Butter Shampoo in my life through the Vellvette Box, it also was SLS free. I used it sparingly though as it was expensive to buy the full size bottle. Some months before this I had purchased the TBS ginger anti dandruff shampoo (which isn’t SLS free, but the mildest anti-dandruff shampoo I’ve used) but didn’t use it much as I was too apprehensive about it. I started using it and liked the results. I will do a full review of it for you all soon. So overall, since the past 7-8 months, I have been trying to eliminate most chemicals from my hair care. I used Himalaya protein shampoo, Herbal Essences Hello Hydration conditioner, L’occitane Shea Butter Shampoo, TBS ginger anti dandruff shampoo, Bajaj Almond oil, Olive oil, Vitamin E capsules (mixed with oil and applied to scalp). 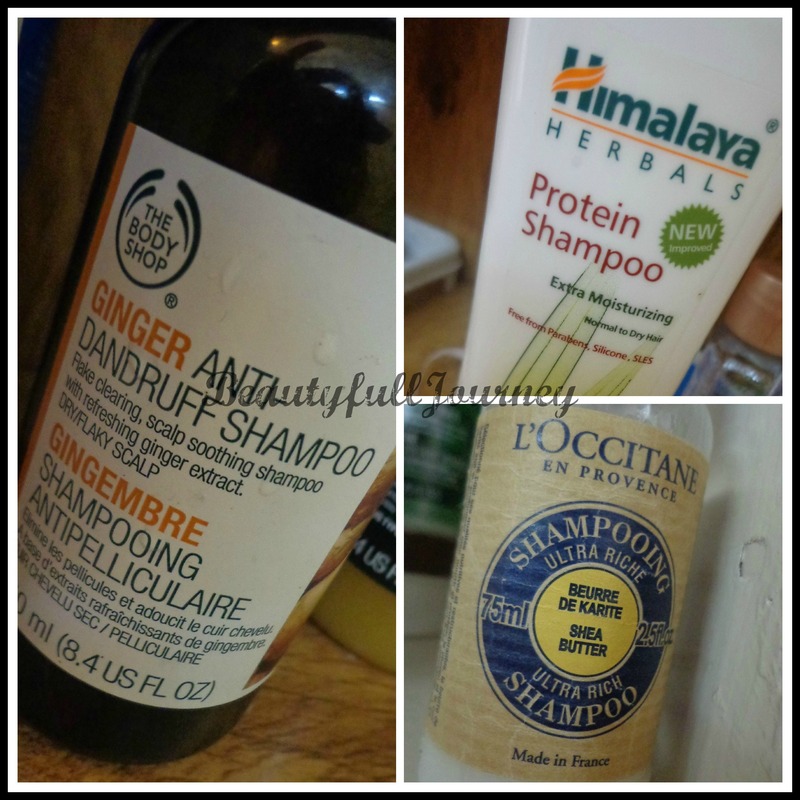 These products collectively have helped me control the dandruff. According to me, what has cured it is using as less chemicals as possible. Most anti-dandruff products in the market are very strong and full of useless chemicals, so my advice to everyone is to stop using harsh chemicals for your hair. Another thing that helps is not using hot water to wash hair. Always try and use cold water. Another important thing is patience, especially while using SLS free products, they take a lot of time to show results. Also many people I know do not like using SLS free stuff because of less lather, guys please be patient and stick to the stuff as you need to get used to the less lather and all. In the long run, the SLS-free or less chemical products I have used have really done wonders for the quality of my hair. I try my best to purchase products with as less chemicals as possible. Also, do not blindly start using things based on the claims they make. Read the ingredients and try to understand as much as you can. These are just things I have myself learnt through my experiences. Today I can not see any redness in my scalp, there is no itching at all, there is only maybe 5% of the dandruff that I had earlier. < Previous Fashion & Beauty Blunders – Lining Lips. Next > QUICK REVIEW, SWATCHES: Colorlab liquid eyeliner. So with chemical free shampoos, how often do you wash your hair? And if you dont wash itfor like 5-6 days, does the dandruff comes back? when starting out, sometimes u need to wash more often, but now my hair has become used to these shampoos and i use it just normally, like around 2 times a week, or sometimes 3. no, it doesn’t come back, because chemicals harm the hair n scalp from inside, but with good products these make your hair healthy from inside , not just for short period, but for long run!